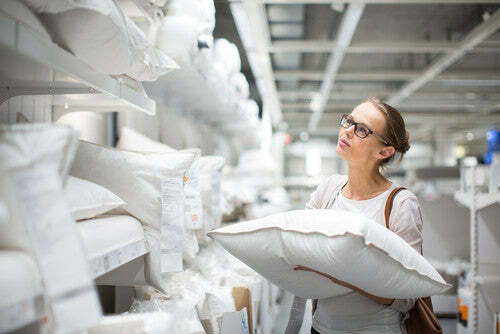 When it comes to buying new bedding most people will just refer to their bed as single, double or king size, but what do these sizes really mean in exact measurements. Well you may be surprised to know that officially there are no exact measurement for any size of bed. Also bedding and mattress sizes vary from country to country so that might need to be taken into account to ensure you get the correct size bedding for your bed. This might make buying your new sheets or quilt set a little bit more difficult than you at first thought. Most manufacturers however, have a standard that they adhere to and this does simplify things somewhat. Although your actual bed can be any size and shape your bedding size will be dictated by the size of your mattress and this can vary enormously from manufacturer to manufacturer. Things like filling, padding and whether or not you might have a built in mattress topper will all affect the final size of your mattress. Also remember to take into account not just the actual size of your mattress but the depth of it too as some fitted sheets may not be large enough for an extra deep mattress. So, let’s look at these sizes more closely and see if we can simplify things a little. Standard single: Firstly a standard single bed should measure 90cm x 190cm ( 3ft x 6ft 3inch if you prefer). Small single: Remember that it is possible to find small single beds or bunk beds and these will be slightly narrower at 75cm x 190cm. (2ft 6inch wide). 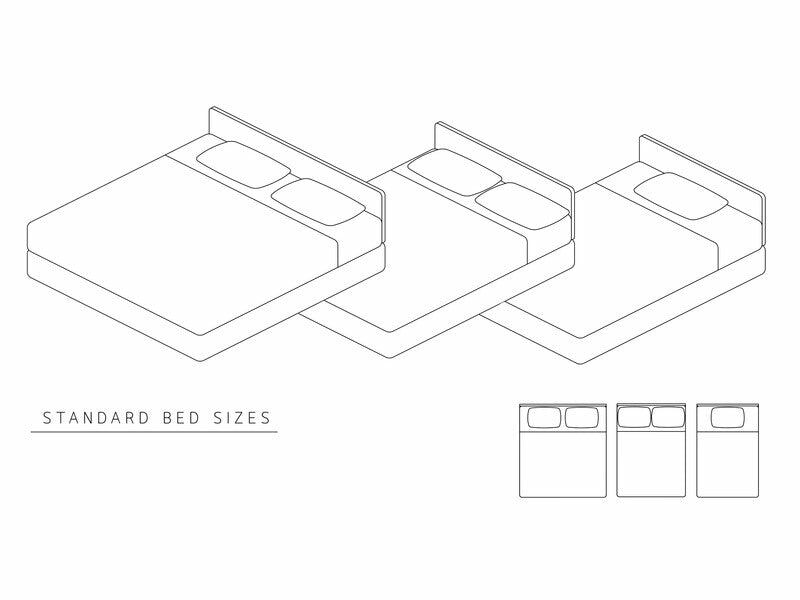 Standard double: Next there is the standard double bed which would measure 135cm x 190 cm (4ft 6inch x 6ft 3inch). ¾ Bed: Again, it is possible to get a small double or what is commonly known as a three quarter bed and this would measure 120cm in width,(4ft) the length is always the same in standard beds. Then we come to the larger beds where the length and width are both larger. Queen: Queen size are the first of the larger beds, and this will normally be 152cm x 203cm (5ft x 6ft 6inch). King: One of the most common bed sizes these days as the population gets taller and larger are king size beds, which measures slightly wider than a queen size 167cm (5ft 5inch), with the same length of 203cm (6ft 6inch). Super king: The last size to look at and one that is gaining in popularity is the super king and this measures 180cm x 200 cm (6ft x 6ft 6inch). Emperor: There is also the emperor bed which measures a massive 215cm x 215cm (7ft x 7ft). However, this is not a common size and bedding can be very difficult to source for this size of bed. Custom made & round beds: Bear in mind that virtually any size of bed can be found or made, but that if that is the case then standard bedding will not be an option for your use and you will probably have to source custom made bedding to fit your bed. This can be an expensive option depending on exactly what you opt for. Now that we have ascertained the normal or standard sizes of mattress you should be able to decide which size bedding you need, remember though that as in all things there will be slight variations. All bedding packs should come with sizes stated somewhere on the packaging although these will quite often be approximate and for guidance only, due to the slight variations, as mentioned above, of mattress depth. If you are in any doubt it is probably wise to take out a measuring tape and measure your bed, and by bed I mean mattress, before you start your shopping. Even a bed classed as ‘standard’ can vary by a few centimetres and we all know how frustrating it can be to struggle to fit a sheet that is just slightly too small onto our bed or conversely to have a sheet that wrinkles up underneath you every time you move at night. That said of course it is always an option to go for flat sheets where you have some extra material to tuck in if needed and this also gives you the option of buying a slightly larger sheet to fit your bed if your size is awkward to find.